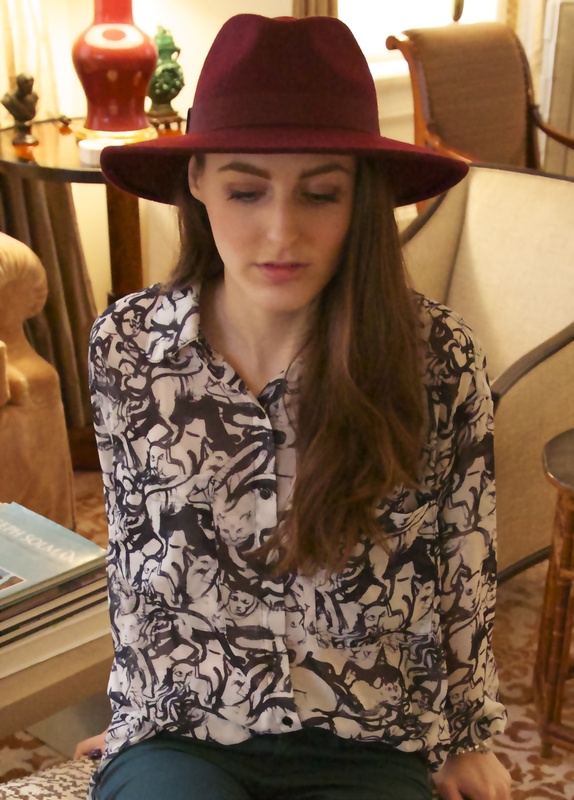 Mixing prints has become a major trend over the last couple of years, and I’ve personally found it very intimidating, especially because the failed attempts are really tragic. Since leopard/cheetah print is arguably the most classic print (apart from florals), and black and white is the most basic color combination, these Madewell “Teddy” calf hair loafers and my American Apparel illustrated chiffon blouse in “Cat Fancy” are an easy pair for print-mixing beginners like myself. These waxed J-Brand jeans in a deep turquoise and my REISS London felt “Ava” hat in burgundy add the intrigue of complimentary colors. 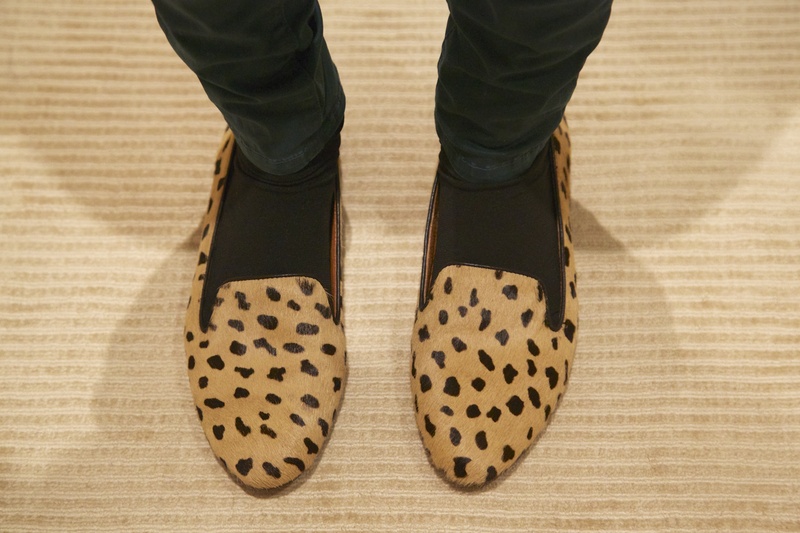 Unless you’re totally opposed to animal prints for whatever reason (weirdos…), you need shoes like these. Why? Because the shape is classic and comfortable, and the print/textile can brighten up any outfit. On those days when you just don’t have the energy to compose anything more exciting than a T-shirt and jeans or an all black ensemble, these shoes will be the remedy for feeling drab. Yes, this shirt has cat faces all over it, and I know you’re probably starting to think I’m obsessed with cats and have twenty of them in my apartment. The truth is, I don’t like them at all. Well, they don’t like me. A Thai manicurist once told me this is because I was born in the year of the horse. Whatever. Cat fights aside, I do have a strange affinity for cat-faced clothing, and although I have far too many of these oversized blouses from American Apparel (as you’ve also probably noticed), this one is my lucky shirt. I’ve scored some boys, some free beers, and even a job in this shirt.